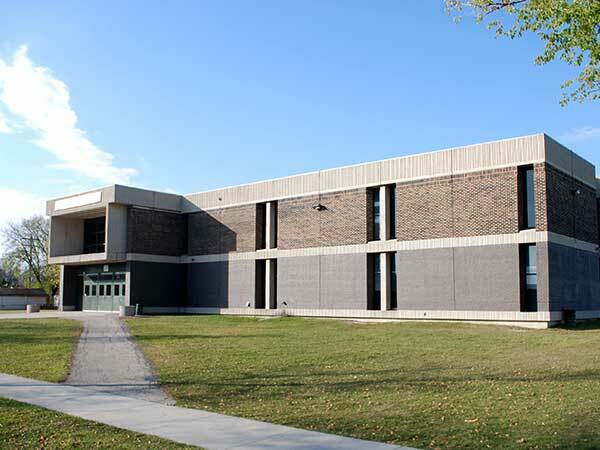 Located in Transcona, this school was designed by the Winnipeg architectural firm of Ward and Macdonald. Built of steel, masonry, and concrete frame in 1968-1969, it carried the Arthur Day name from its previous location, becoming the Arthur Day Junior High School. The Transcona-Springfield School Division facility was opened officially on 6 April 1970 with a cornerstone placing ceremony and open house. Among the teachers of Arthur Day Junior High School was William Stepaniuk (1966-1989). “Tender notice - new Arthur Day High School,” Winnipeg Free Press, 16 June 1968, page 13. “Official opening for high school,” Winnipeg Free Press, 26 March 1970, page 7. From Slate to Computer in the Transcona-Springfield Area 1873-1983 by Nan Shipley, 1983, page 349.